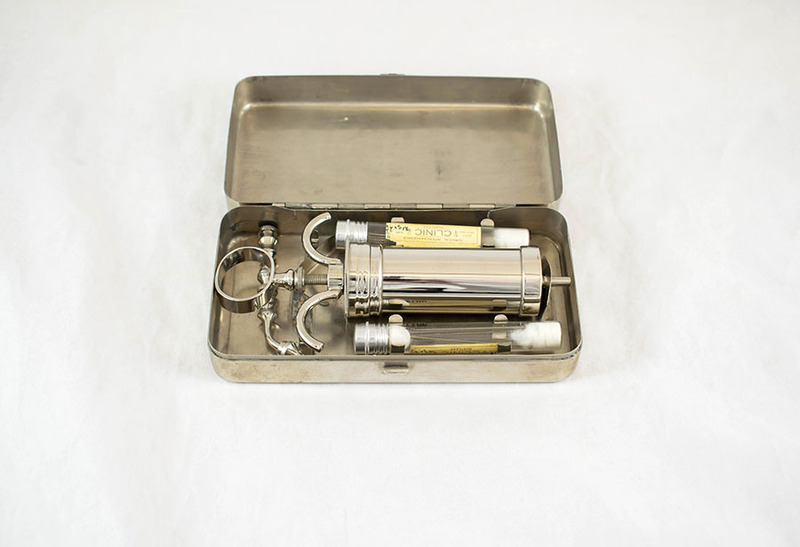 Gray's anaesthetic syringe, with two sets of five needles, in metal case. 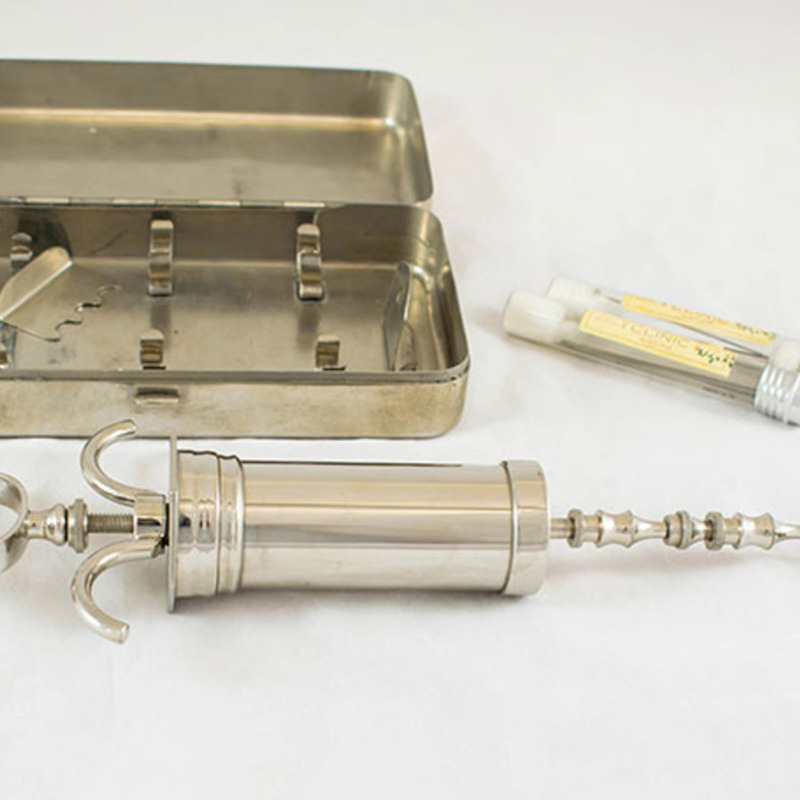 Metal syringe with straight and curved adaptors for Schimmel's needles. 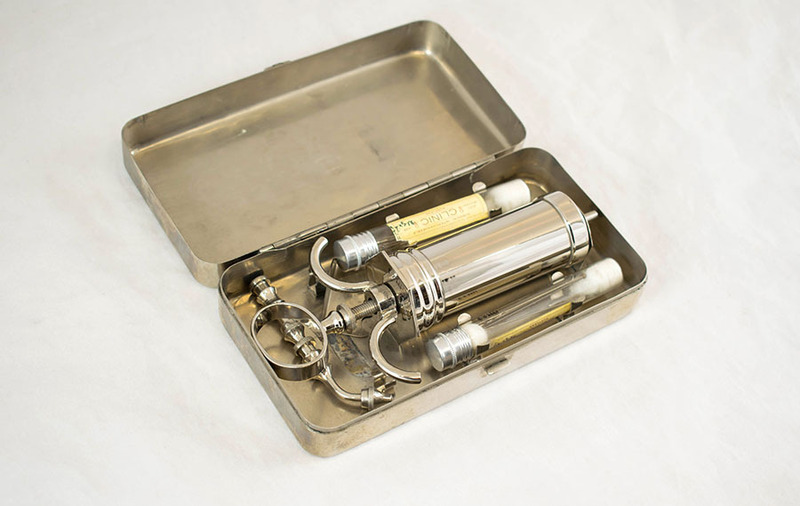 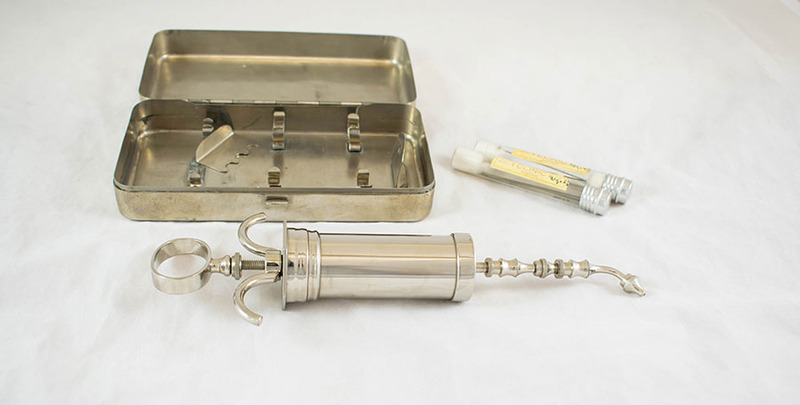 “Gray's Anaesthetic Syringe ,” Heritage, accessed April 24, 2019, https://heritage.rcpsg.ac.uk/items/show/754. 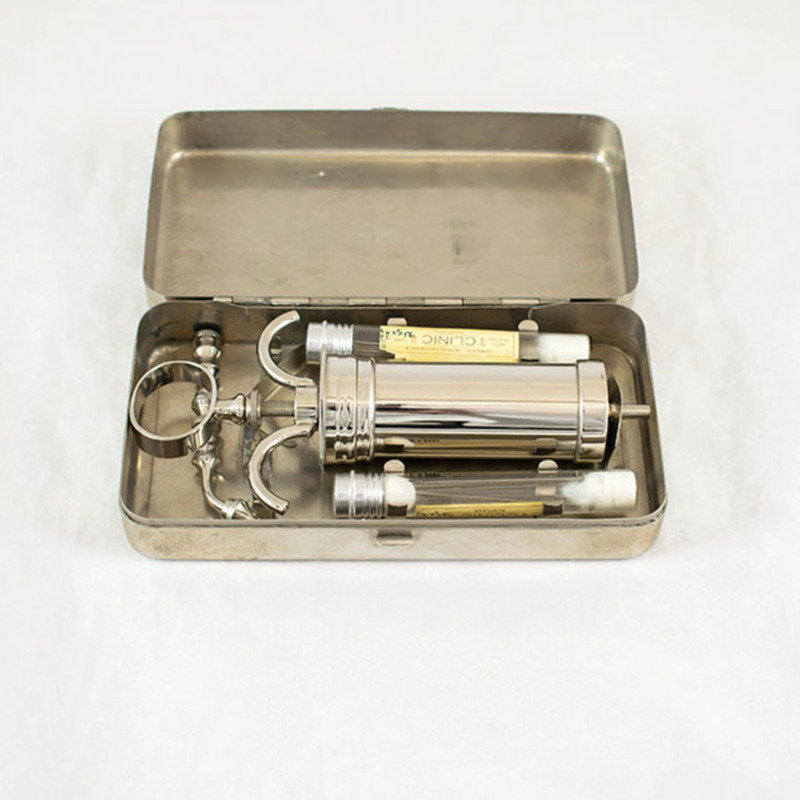 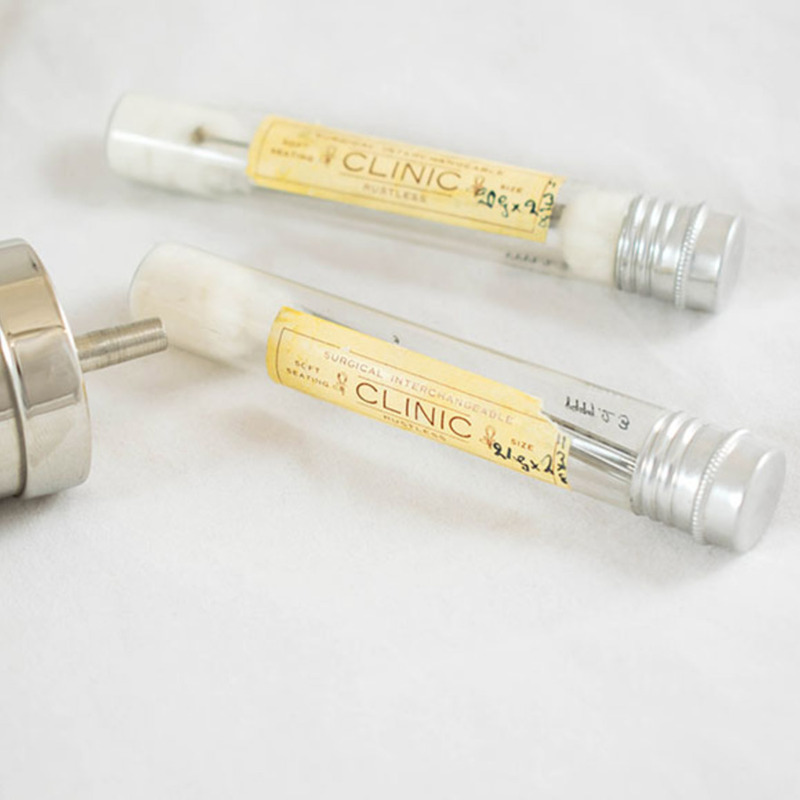 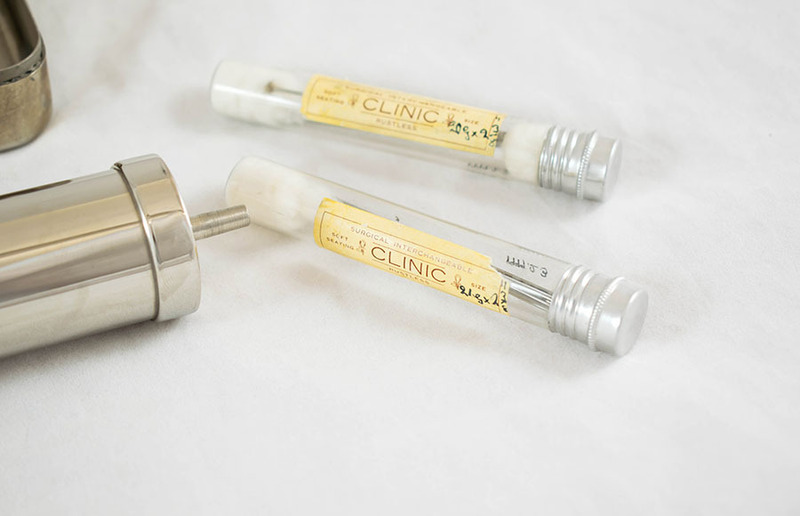 Description: Gray's anaesthetic syringe, with two sets of five needles, in metal case. 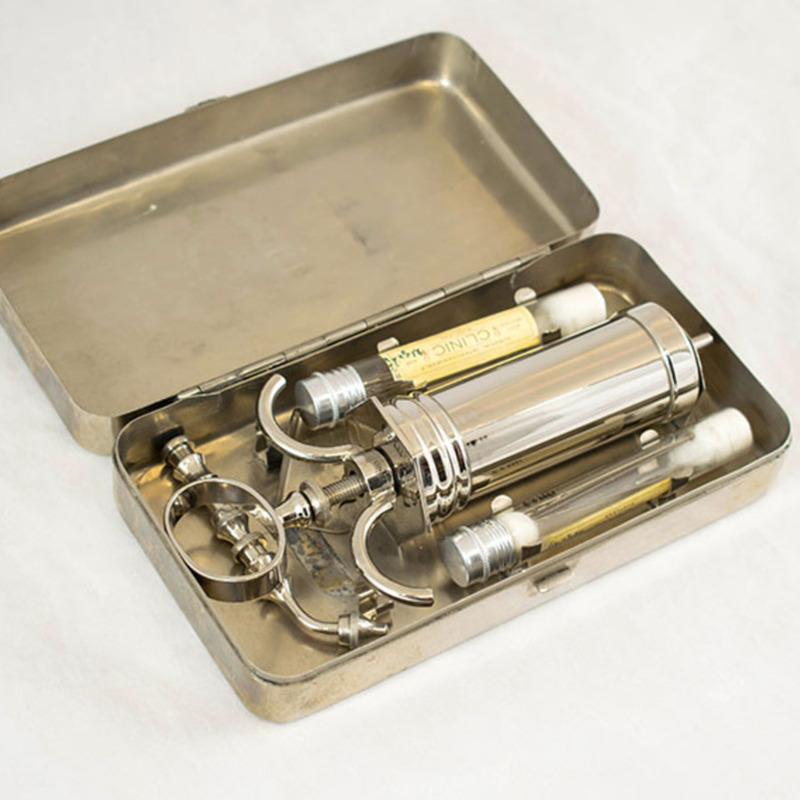 Metal syringe with straight and curved adaptors for Schimmel's needles.